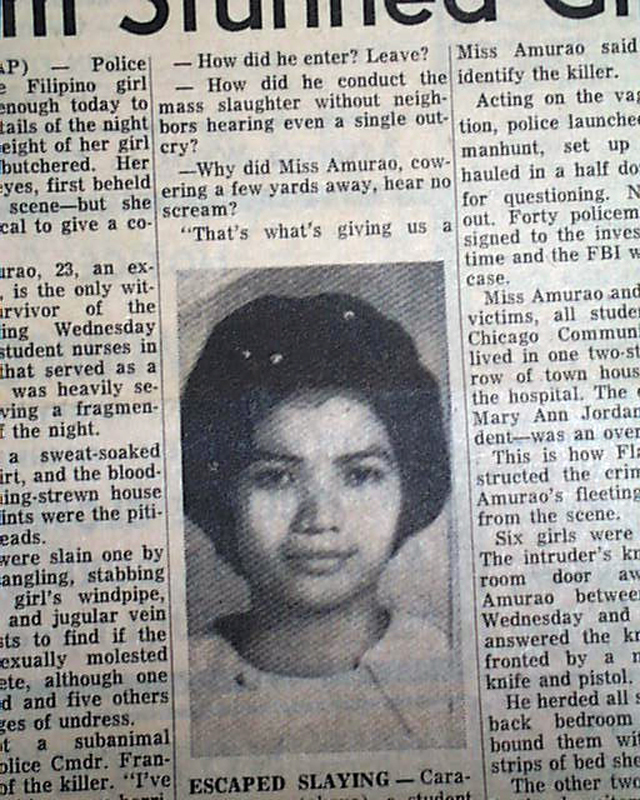 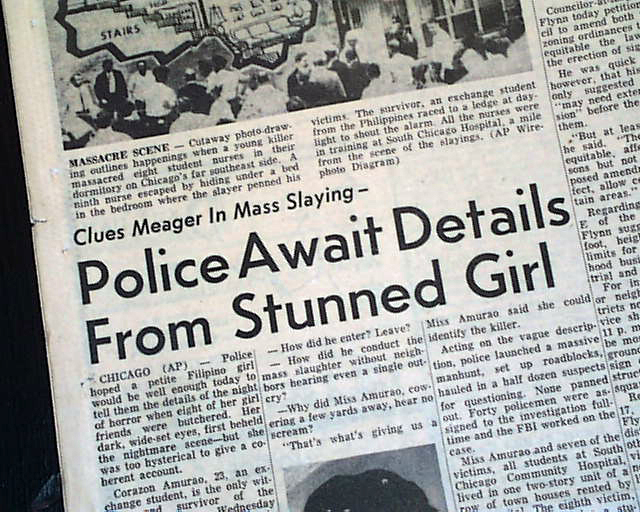 This 16 page newspaper has a three column headline on the front page: "Police Await Details From Stunned Girl," with caption: "Clues Meager In Mass Slaying." 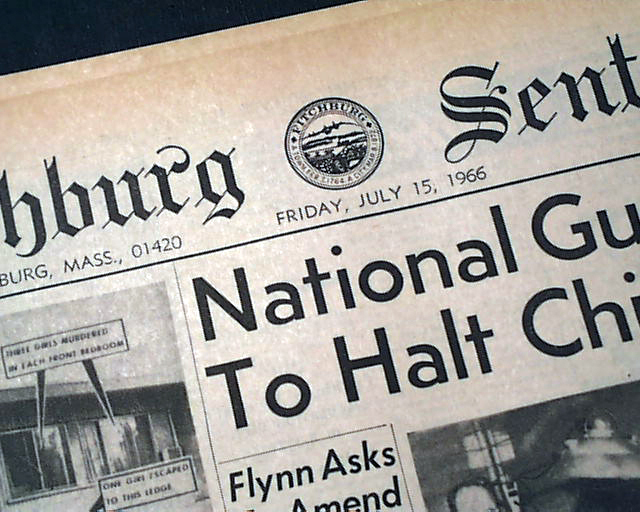 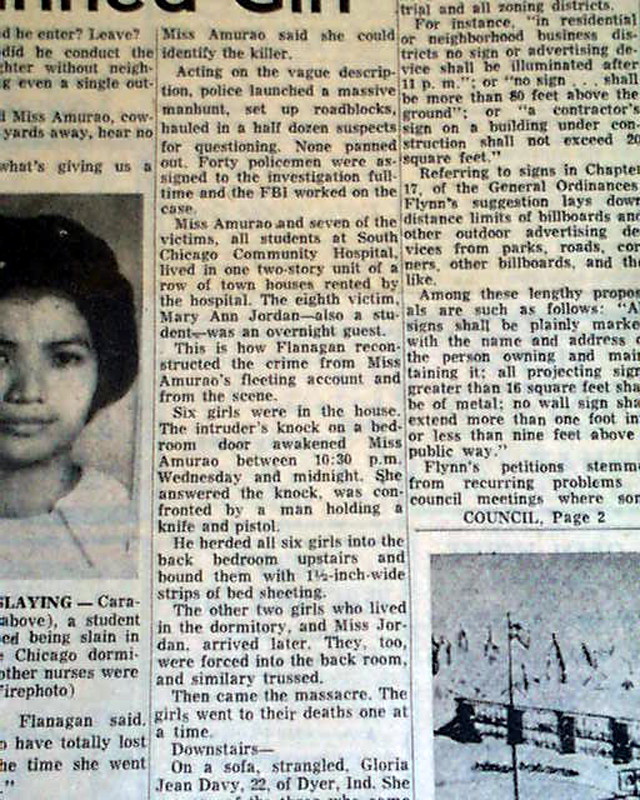 The coverage tells of the famous mass murder of 8 student nurses in Chicago, IL. 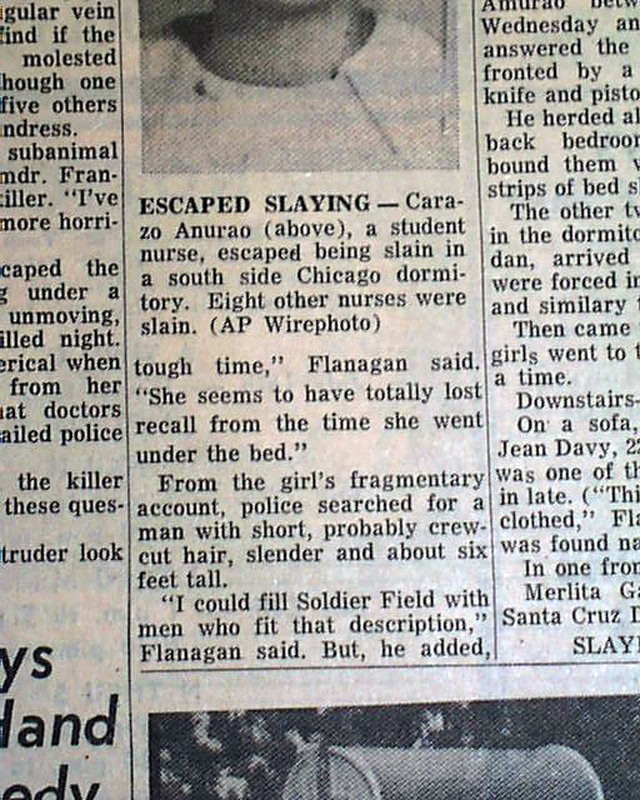 A related photo is included. 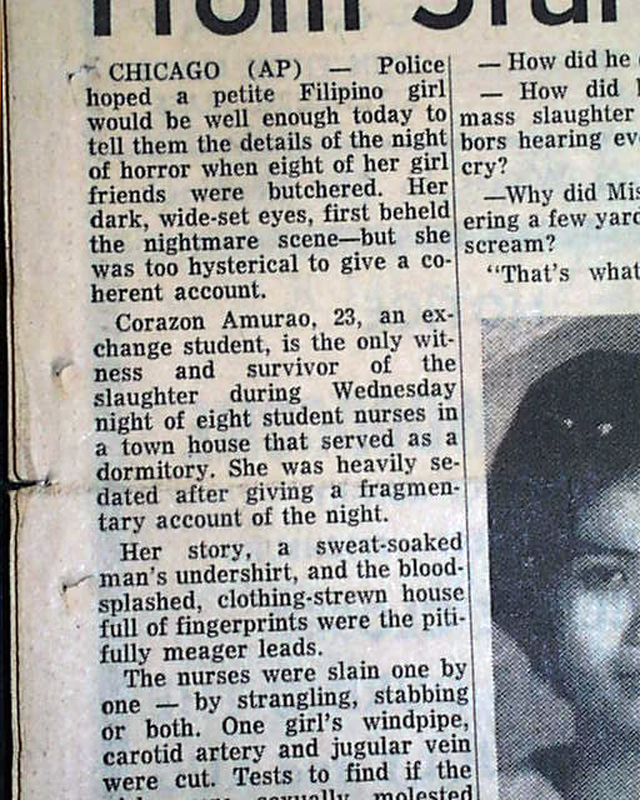 Other news of the day with period advertising is found throughout. 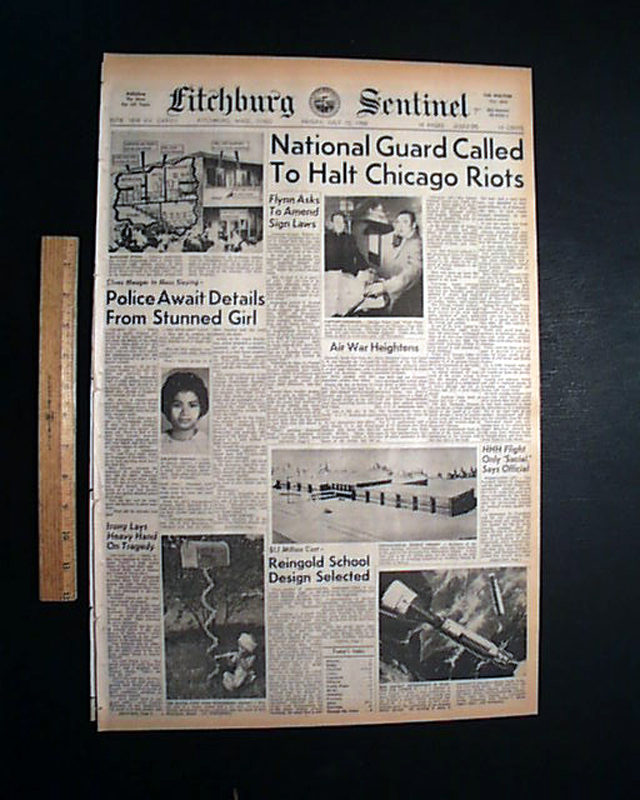 Complete in 16 pages, and in good condition.